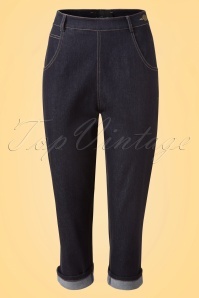 These 50s Coco Denim Capris are a summer necessity! 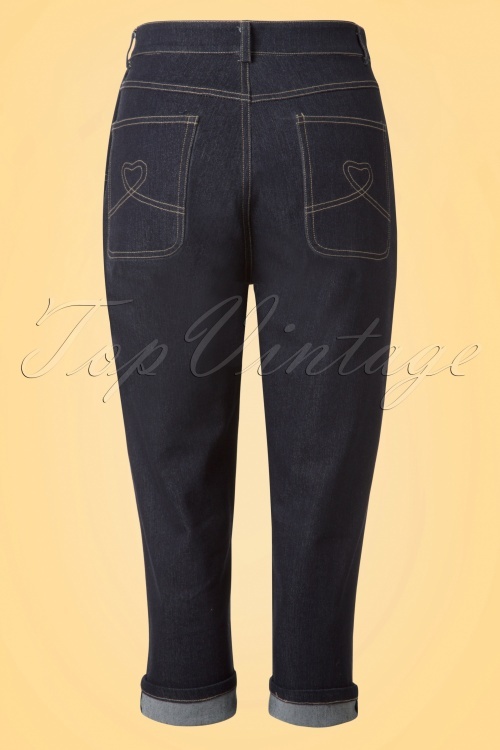 Coco is a classic vintage inspired jeans with a high waist, roomy front pockets and a perfect 3/4 length that can be easily turned up ;-) Made from a firm and thicker, traditional indigo denim with a light stretch for an amazingly comfy curvalicious fit and finished off with cute heart design back pockets. The great thing about a denim capris is they look great with a variety of tops so you can create an infinite number of different look and isn't that just what every woman wants? 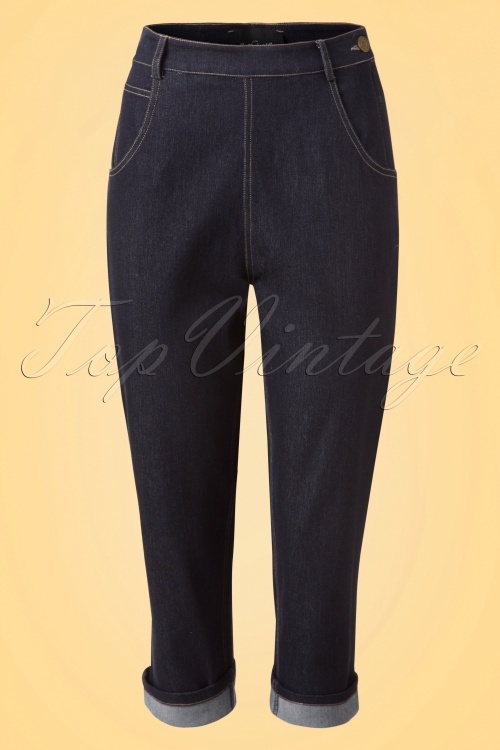 I never ever go for jeans but those are so cool and confortable. Real vintage looking. Thanks, Topvintage! Folowing the size advice I ordered an "S" and was very confident that these trousers would fit me, as my measurements are exactly in the specified range. Dear Sigrid, I am very very sorry that this happened. I will contact you today and I promise that we will solve this problem! I already purchased the M but felt like the S would be a little more fitted. 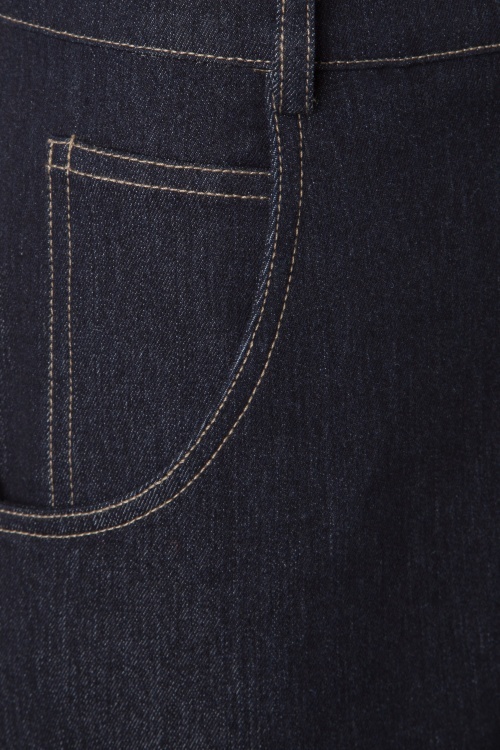 It is simply a beautiful pair of jeans. Now I wear the M when I want to be more comfy and the S when I need a neater look.